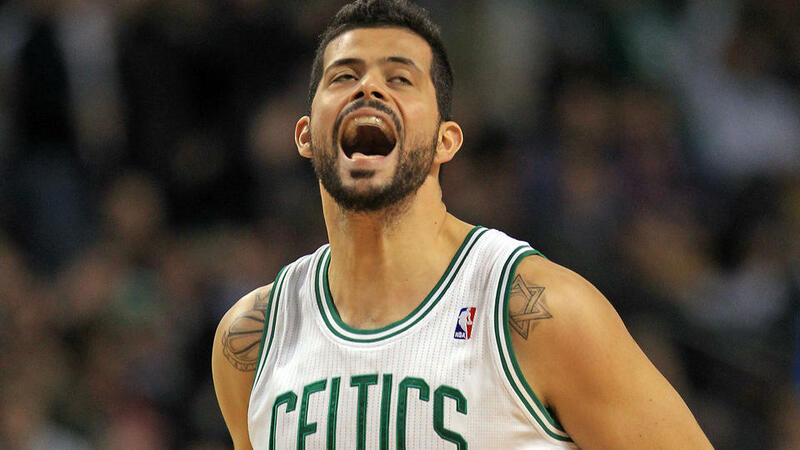 While speaking at Celtics media day Monday, second-year center Vitor Faverani shot down Spanish media reports that he was arrested for drunk driving in Spain this summer. The 26-year-old downplayed the idea that he was even involved in any kind of automobile incident overseas. La Opinión de Málaga reported in July that Faverani had run a red light and crashed into a bus, which led to his arrest. Really strange press conference with Vitor at media day. I’m not really sure why someone in the media in Spain would try to throw dirt on his name by making up a completely bogus story. And when I say completely bogus I mean the original report stated that Vitor’s car was totaled and had to be removed from the scene by a crane and he’s claiming that he only broke one light. He also claims that there was no alcohol involved and therefore he did not go to jail for drunk driving. Seems like quite an elaborate story for someone to make up but the Celtics believe him so I guess I do too.